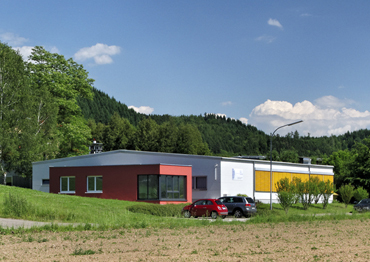 In 1987 Ernst Raimann took over ACA Atlast Contacte GmbH from Finzer Säckinger Maschinenfabrik. The know-how of the then-technological leader in stamping-bending technology, the qualified workforce and machine park were also incorporated. An efficient company quickly developed from small beginnings in leased premises. Continuous further development and reliability are our top priority. We thank our loyal customers. We have had the privilege of supplying many customers since our foundation. Move to the company’s first own premises at Wallbacherstr. 5, 79664 Wehr. Andreas Raimann joins management after university studies and appointment as development engineer in the automotive subcontracting industry.